Whether you're feeling lonely or nostalgic, there's a chocolate heart for you. Valentine's Day is worked up to be this big deal for couples, leaving singles feeling a little left out. Valentine's Day can be just as fun for singles as it is for people in a relationship if you approach it a bit differently. First off, instead of moping over your lack of a significant other to celebrate with, celebrate with friends and family. Second, who needs a significant other to buy you a box of chocolate when you can buy one for yourself? 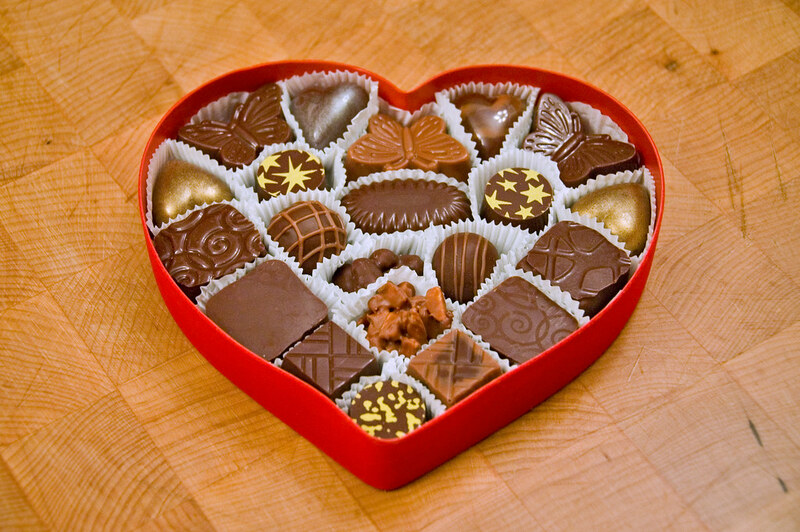 Choose any one of these chocolate boxes below to make for a very successful and enjoyable Valentine's Day. I found this Hershey's Pot of Gold Premium Collection for just under $6 at Walmart. That's a really good price for 16 assorted chocolates! This Ferrero Rocher Fine Hazelnut Chocolates Heart is for those of us feeling a little fancy schmancy. Who doesn't love a gourmet crunchy, hazelnut chocolate on Valentine's Day? If you're feeling a little plain and simple on Valentine's Day, then the classic Russell Stover Foil Heart is for you. No company is more well known for their assorted chocolate hearts on Valentine's Day than Russell Stover. This Russell Stover Red Foil 42 oz. Heart is probably half the size of me, but if you're feeling super extravagant on Valentine's Day, then this is definitely the boxed chocolates for you. Valentine's Day can be a lot of fun, but it can also make us singles feel a bit lonely. Buy yourself a Russell Stover Heart with Bear and guaranteed you will feel better. They're just so fluffy! If you're feeling a little sporty or athletic on Valentine's Day, go for a football, soccer, or golf decorated boxed chocolate. This Whitman's Assorted Chocolates Football Heart is a classic example. If you're feeling cheap this Valentine's Day or you're trying to cut back on money, opt for a smaller boxed heart. I found this Russell Stover Assorted Valentines Fine Chocolates for a mere $4 at Target. What a deal. Who didn't love to watch Spongebob when you were a kid? Or maybe you still do, no judgement here. These Spongebob Chocolate Valentine Hearts are small, but still filled with delicious chocolate and will remind you of the good ole' days. If you're craving nuts on Valentine's Day, try this Turtles Valentine's Candy Satin Heart Box. Filled with chocolate candies containing pecans and caramel, these are sure to satisfy your sweet, nutty craving. Missing your dog or cat back home? Buy yourself one of these chocolate hearts with an adorable kitten or puppy on the front to remind yourself of the cute pet you have waiting for you at home. Plus, these Russell Stover Assorted Chocolates Pets Hearts are quite cheap at Walmart. So no matter what you're feeling this Valentine's Day, you deserve to treat yourself, and now you've found the perfect chocolate heart to do that with.